Established in 1965, our breeding program is dedicated towards a mentally and physically sound dog. Temperament and health are priorities. Blending beauty with brains, our dogs are companions who excel in Conformation and Performance. We have occasional litters (usually sable) and may occasionally have an adult available. Health guaranteed. 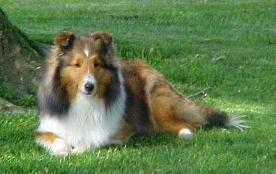 Our breeding program is devoted to the Shetland Sheepdog. We have finished numerous Champions and others have put Conformation and Performance titles on dogs obtained from us. Mentoring includes conformation and junior handling classes, as well as seminars regarding soundness (in all breeds). We encourage newcomers to participate on many levels in the great sport of Dogs.